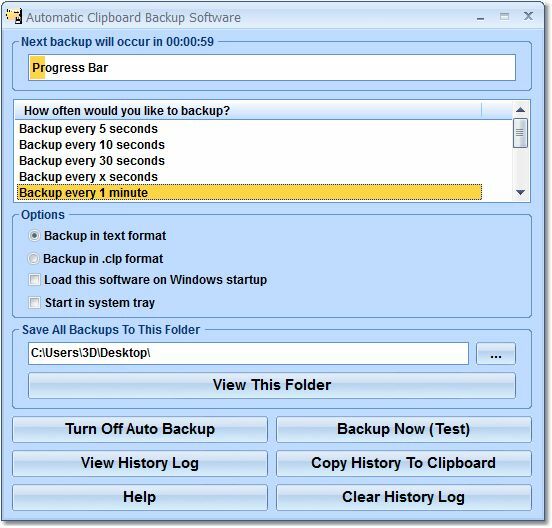 Automatic Clipboard Backup Software can backup contents in the clipboard automatically. Automatic Clipboard Backup Software offers a solution to users who want to automatically backup the clipboard at specified intervals. Clipboard content can be captured every 30 seconds, 1 minute, 5 minutes, 30 minutes, 1 hour, 1 day, etc. This can be useful in making sure that no important clipboard information gets lost.